XL and XXL feature a PF30 bottom bracket shell. 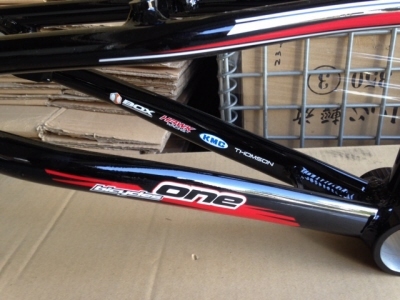 Pro frames have a BSA bottom bracket shell. The PF30 bottom bracket requires an adapter or you can use the BOX Vector cranks that come with the correct bottom bracket. We offer 2 adapters. YOu can choose from HAWK Racing or First. These come with bearings and let's you use your regular 24mm cranks like DXR, Promax, Sinz, Rhythm etc. You can also order the First adapter. 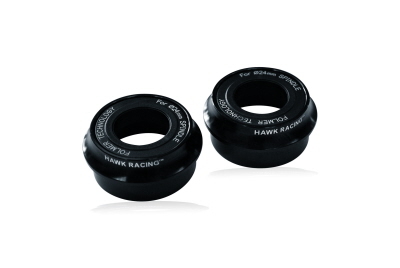 These are cups that can be pressed into the frame shell and have thread inside to screw in your regular bottom bracket. Other then with BB30 bottom brackets, there is NO glue required !